Affording Diabetic Supplies – For those with diabetes, diabetic supplies represent a constant expense that far too often can be quite costly. Everything from goods that can be purchased over the counter to mail order supplies quickly adds up, as the exact nature of needs may require more out of pocket. Even for those who may not have diabetes but have a child or even an animal with the disease, having this cost compounded on top of others can be significant. But just like with the other costs we face, there are adjustments that can be made in order to enable us to maneuver them to attain the supplies that are needed. As you go about purchasing your diabetic supplies, consider these tips for making the process a bit more affordable. When it comes to purchasing almost anything, buying generic is more cost effective than buying from a name brand. This is the same for diabetes supplies as a number of products can be purchased less expensively when flashy name brands are ignored. Though there are limitations to what can be purchased this way and often this strategy works better for those with type 2 diabetes, it is still an applicable solution for minimizing some diabetic costs. And the differences in pricing can be staggering as medications that are identical with the exception of the brand can be much more expensive. Some products are marked up $50, $60, and even $70 so avoiding those costs will prove beneficial. For those who always purchase their diabetic supplies from the same pharmacy or location, there may be a chance to earn points or rewards through loyalty programs. While this particular method of saving does not always directly relate to supplies due to the fact that many stores do not count points toward medications, it is still helpful as it will reduce the cost of your other goods. Saving on those will enable the purchase of your supplies and leave you with more in your pocket than you would have had otherwise. Still, in some cases, your loyalty points may be redeemable for discounts on your supplies, which will help cut the costs you pay so be sure to determine if that is an offering you can take advantage of. Diabetic supplies can come with a high per unit cost, but can be made cheaper by purchasing in bulk. And for items that those with diabetes need many of on hand including test strips and syringes, this is particularly helpful. Often large orders can be placed online which end up slashing the expense and could save hundreds or even thousands of dollars each year. Buying in bulk also allows for comparison shopping as consumers can navigate through a number of prices and options and determine the quantity that works best for them for the price that works best for their wallet. For people with diabetes, organizations will put on events that are meant to educate on the disease. Often companies that manufacture diabetic supplies attend as well to present new products to consumers. 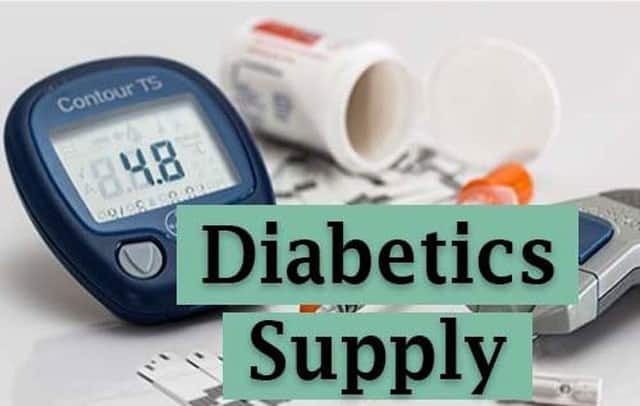 In this, there is an opportunity for affordable supplies as often the diabetic supply companies will hand out free products or even coupons to purchase their goods at a discount. Not only does this allow for free or marked down supplies, but it also gives those with diabetes the opportunity to try out different products from various brands. Getting a sense for the different goods being offered will enable a better understanding of which can be used as substitutes, especially in the event one brand goes on sale, or if they have a preference for one or another. When it comes to considering the overall effectiveness of medications and supplies, we develop preferences for certain products based on the efficiency and side effects. And while various brands and products are meant to achieve the same thing, the overall ability to do this differs from brand to brand. While this is not always the case, the price can indicate what products carry the most benefits with the most drawbacks. Prioritizing price may mean getting what is needed from a product while also accepting some of the shortcomings of it. As affordable options are considered, it is also important to assess where you may be willing to accept more shortcomings in a product to spend less.